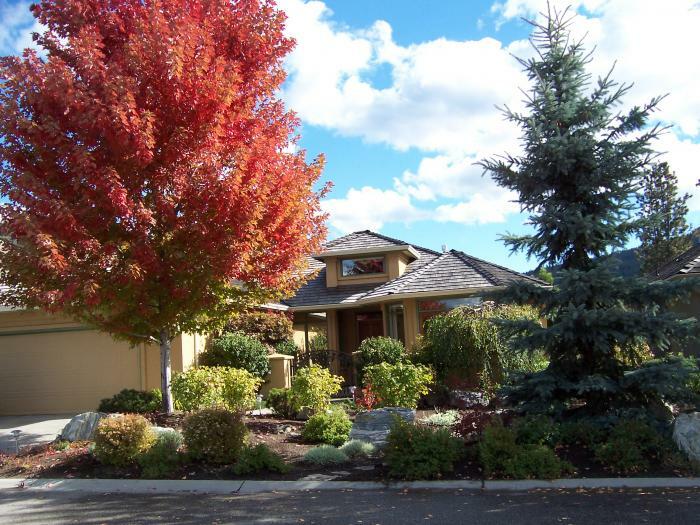 2000sq ft home on mountian golf course. 6km from Okanagan lake and city centre. 2 bedroom, 2 bathrooms sleep 4. Beautiful resort lake side city. In the heart of fruit and wine country. The town sits on the shore of beautiful Lake Okanagan great for sailing and boating. Home is located 6 km up a mountian drive to 18 hole golf course. Wonderful hiking, biking trails.